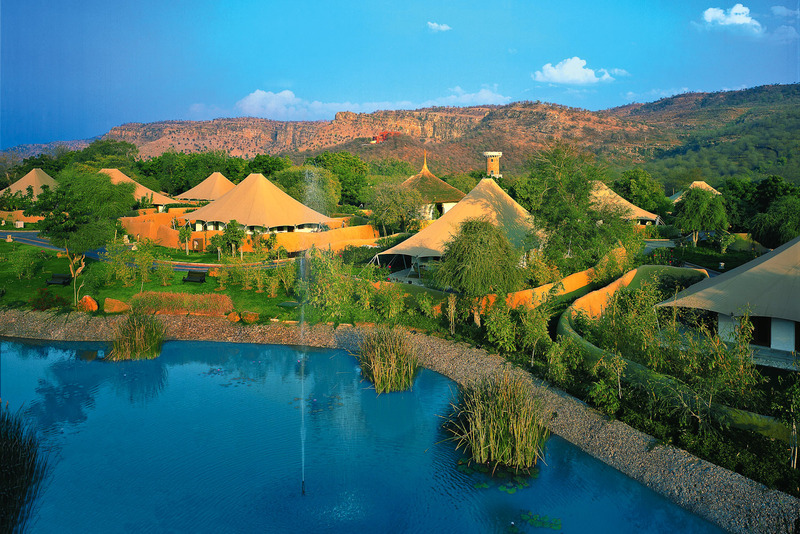 Oberoi Vanyavilas in Ranthambore, India. Ranked #75 in our countdown of the 100 Best Hotels and Resorts in the World. On the edge of Ranthambore National Park and Tiger Reserve, the Oberoi’s ‘luxury tents’ come kitted with everything a royal safari party might need. Polished teak floors, four-poster beds, rolled-top baths, wi-fi and a personal bar are on hand. After a jungle drive and tiger-spotting, guests relax on their private decks or at the lapis-blue tiled pool. You can have a G&T at the bar and exchange jungle stories. Did you know Ranthambore National Park, a former hunting ground of the Maharajas of Jaipur, is now home to tigers, monkeys, deer, leopards, crocodiles and hundreds of bird species.